Chantal Bertoša – B.C.L., LL.B. Life doesn’t slow down for Chantal after she leaves the office — if anything it speeds up! Between hockey tournaments and horseback riding competitions, Chantal manages to keep herself busy. 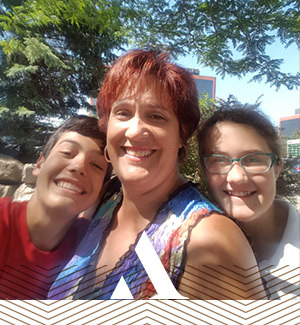 Chantal is happy to have met so many new friends through her children’s activities, as throughout the hockey season and the time spent at the stable, she generally spends more time cheering on her kids than she does at home. During the rides to school, sports and other events, getting four children to agree on a radio station can be a challenge. Although Chantal enjoys most types of music, she is always listening for one of her favorite artists — Pink! Chantal enjoys travelling and spending quality time together as a family. “We have been on many fun vacations, but the one place I don’t think I could ever grow tired of seeing is Venice”. Chantal has been practising in the intellectual property field for over 20 years. She is a strong believer that the practice of intellectual property law is not just about knowing the law. It is understanding clients’ needs, concerns, motivations and goals to effectively assist in the protection, defence and enforcement of their intellectual property rights. Chantal’s practice today is geared more towards contentious proceedings (opposition and cancellation proceedings before the Trademarks Office, appeals to the Federal Court and enforcement of IP rights). Notwithstanding her expertise in that field, she remains very involved in the prosecution of trademarks. In a globalized and competitive marketplace, Chantal feels privileged in assisting clients in the clearance and protection of their brands. Today’s new brands are the assets which will drive tomorrow’s economy. Chantal acted as lead counsel for the landmark case that led to sound marks being registrable as trademarks in Canada. After a 20 year battle, the famous Roaring Lion whose instantly recognizable voice is heard at the beginning of Metro-Goldwyn-Mayer Lion Corp’s films, became a registered trademark in Canada – free to roar at last! Chantal is a focused and driven individual and these strengths are reflected in the manner in which she services her clients. From strategic planning to sound business advice, Chantal has extensive experience assisting in the management of her clients’ IP portfolios. Her skills are complemented by the talented and experienced professionals at Aventum IP Law LLP. The collaborative spirit of the firm ensures that all aspects of her clients’ IP needs are fully considered and protected. Chantal graduated from McGill University, with a Bachelor of Civil Law (B.C.L.) and Bachelor of Laws (LL.B.) in 1993. She was called to the Ontario Bar in 1995 and the Quebec Bar in 1996. She is bilingual, offering her clients representation in French or English. Victoria Carrington – DDS, LL.B. Victoria enjoys sharing her love for horses and motorcycles with her two young children, and both have decided to follow in her footsteps. Her daughter has become an accomplished rider, competing throughout the season in show jumping, eventing and dressage. 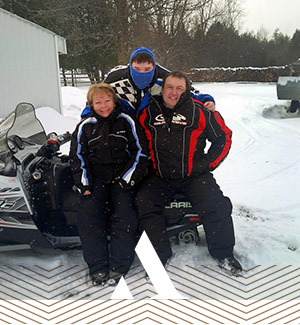 Her son — preferring more horsepower — pursues the world of motocross racing, trading in his dirt bike for his snowboard only when the snow starts to fly and the terrain parks open again. Seeing the passion and discipline with which her children pursue their respective sports more than makes up for the countless hours Victoria spends every year – either baking in the sun at the dirt track and horse shows, or freezing at ski hills and riding arenas – cheering them on. Finding time to pursue her own hobbies is definitely a challenge – trap and target shooting are a favorite, as is getting creative with oil and acrylic painting. Victoria is a lawyer, trademark agent and Managing Partner in the firm specializing in the acquisition, protection and enforcement of trademark rights, Internet and domain name law, as well as copyright matters. She advises clients with a pragmatic and business-oriented approach that recognizes the fundamental role that intellectual property plays in the value of a business as well as in giving it a competitive edge. Victoria’s experience ranges from representing multi-national companies with portfolios consisting of thousands of trademarks and domain names in Canada and around the world to SMEs and individuals with a more local presence. Victoria participated actively for a number of years in international Internet governance reform, working extensively in the formation of the Intellectual Property Constituency (IPC) of the Internet Corporation for Assigned Names and Numbers (ICANN), and serving as one of the three initial IPC representatives on the Names Council, the governing body of ICANN’s Domain Name Supporting Organization (DNSO). Victoria has successfully helped clients to take back their domain names from cybersquatters (or retain domain names that were rightfully theirs) through negotiated settlements and numerous Uniform Domain Name Dispute Resolution (UDRP) proceedings before the World Intellectual Property Organization (WIPO) and eResolution. She encourages clients to consider domain names as a key component of their intellectual property portfolios and advises in the development of international trademark/domain name protection strategies that are appropriate to their businesses. Prior to becoming a lawyer, Victoria was a dentist, graduating from the Semmelweis University of Medicine, Faculty of Dentistry in Budapest, Hungary with a Doctor of Dental Surgery degree. Katie Wang is a Canadian lawyer, Registered Patent Agent and Trademark Agent. She assists clients on intellectual property (IP) counselling, procurement, transactions and enforcement. Katie is involved in all aspects of patent portfolio management and advises clients on drafting, filing, prosecution and litigation strategies. Her practice in patent prosecution expands from pharmaceutical, chemical, petrochemical, biotech, cleantech, medical and mechanical devices, to Internet-related technology. She is experienced in conflict, protest, and re-examination proceedings. She regularly counsels clients on patent infringement, validity, patentability, and freedom-to-operate matters and provides IP due diligence services in pre-acquisition assessment. She has negotiated and drafted numerous licensing, R&D and technical consulting agreements. As a Registered Trademark Agent, Katie also assists clients on the development and protection of their trademarks portfolios. Katie is active in litigation matters on patents, trademarks, domain name and licensing disputes. She is fluent in Mandarin and assists clients in IP matters relating to China. Katie studied physical and organic chemistry before pursuing her legal career. She has in-depth research experience and several publications. 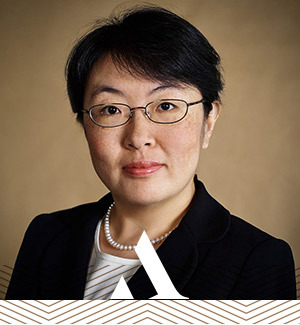 She is the Co-Chair of LES – Women In Licensing Ottawa Chapter and is actively involved in the Chemical Practice and China Committees of AIPLA, the IP Asset Management Committee of FICPI, and the Licensing Committee of IPIC. Ashley Dumouchel – LL.B., B.Eng. Outside the office, Ashley enjoys the simple things in life — friends and family. Ashley is a great hostess and is always the first to offer her home for get-togethers. She enjoys the whole process from cooking to decorating for any occasion. Unlike many, Ashley loves the winter. 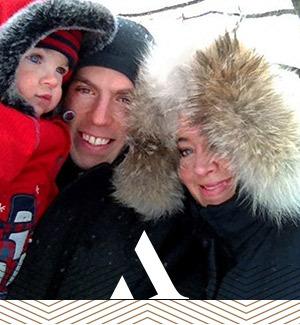 From skiing to making snow angels, she is always looking for new outdoor activities — “I just love the magic of snow”. In her spare time, Ashley takes every opportunity to sing and dance with her two sons — who are growing up so fast that they will soon be leading her around the dance floor. Ashley is a Lawyer and Trademark Agent whose practice focuses on trademark and copyright protection, licensing, and enforcement, including contentious proceedings before the Trademarks Office and the Federal Court. Having represented a wide range of the firm’s clients in the fashion, food, cannabis, and software industries – and every industry in between – Ashley is in a position to advise on the broader, practical impact of legal decisions on businesses. Ashley graduated from the University of Ottawa with a Bachelor of Laws (LL.B.) in 2010, and was called to the Ontario Bar in 2011. Prior to attending law school, Ashley graduated from Carleton University with a Bachelor of Engineering (B.Eng.) in 2007. Life at home for Gordon is all about family, with seven kids there is always an activity to get to, homework to be done and FUN to be had; it seems overwhelming but Gordon handles it with grace and a smile. He and his wife have chosen to raise their children in a small town, close to grandparents, family and great outdoor activities. 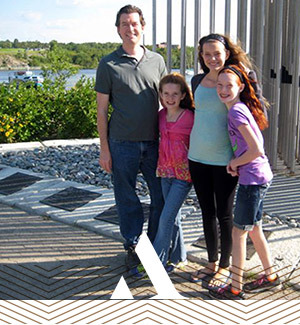 Being able to spend time on the ski hill with his kids in winter, a day at the beach in summer and apple picking in fall are reasons Gordon loves living in Collingwood. As a family, the Freedman’s are always ready for adventure; they love to travel and see the world! Gordon loves food and sharing a meal amongst friends and everyone is always welcome at the table! Gordon is an entrepreneur and patent and trademark agent registered to practise before the Canadian Intellectual Property Office and the United States Patent and Trademark Office. Gordon founded the patent and trademark agency Freedman in 1999, a firm specializing in providing a broad range of intellectual property services and services related to scientific research and experimental development tax credits (SR&ED). Gordon, together with his colleague Mark Weir, joined the firm in 2014. With clients ranging from early-stage technology startups to Fortune 500 companies, Gordon brings a business-centric approach to patents and patent enforcement. He specializes in representing clients in managing and building complex patent portfolios both during very early stages and for going concerns. 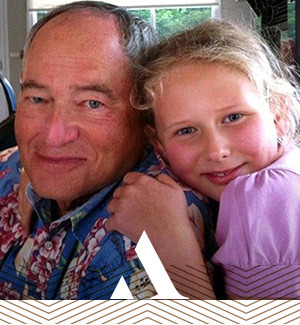 Gordon honed his business acumen by founding, growing and selling a high-tech startup; his blend of business skill and intellectual property expertise make him a unique resource. He has particular technical expertise in electronics, including semiconductor manufacturing, semiconductor circuit design, miniaturization, communications, transducer systems and information technology, including software, consumer electronics, security, image processing, and communications. To hear Gordon’s presentation to young entrepreneurs on (1) how to find angel investors and what mistakes to avoid; (2) how to turn your idea into a profitable growing company; and (3) arbitraging high tech click PART 1 | PART 2 | PART 3 | PART 4 – Q&A. Recently, Mark and his family have decided to start cross-country skiing. Last year they decided to stay close to home, but now that his daughters are getting older he is looking forward to going on some longer trips and exploring the trails in Gatineau Park. Mark also has a Nova Scotia Duck Tolling Retriever named Terra that enjoys spending time with the family outdoors and takes every opportunity to blow off some energy in the woods. Mark is a patent agent registered to practise before the Canadian Intellectual Property Office and the United States Patent and Trademark Office. Mark has more than 15 years of experience in patent prosecution, including significant experience developing strategies for national and international patent portfolios in a wide range of technologies: scientific and analytical instruments, mechanical systems including airport systems and conveying systems, chemical and cosmetic systems, software and information systems and data security applications. Mark, together with his colleague Gordon Freedman, joined the firm in 2014. Mark’s ability to tailor advice to particular needs enables him to service a clientele that includes owner-operated businesses, public companies and startups. Jonathan C. Cohen – B.A., LL.B. Jonathan’s two favourite hobbies are golfing and travelling. Over the years Jonathan has had the pleasure of visiting over 70 countries, and during his travels he always tries to squeeze in a round or two of golf. Although Jonathan openly admits he is not the best golfer, he enjoys getting out with friends and family to work on his game. Jonathan is one of the founding members of our firm which was known as Shapiro Cohen LLP until May, 2018. While he is no longer involved in the active practice of law, he remains a consultant to the firm, in a non-legal capacity. Jonathan has a B.A. from Carleton University and an L.L.B. from Osgoode Hall Law School (Toronto) in 1969. He practised law exclusively in the field of intellectual property during his career. While Jonathan worked on a variety of IP related matters during his career, he has concentrated his efforts primarily on the domain name world during the past 20 years. He served on the Board of Directors of ICANN and CIRA, and has had unique opportunities to be involved in international Internet governance and policy from the ground up. He also advised clients around the world on International Internet Trademark/Domain Name Strategy and Uniform Dispute Resolution Policy (UDRP). 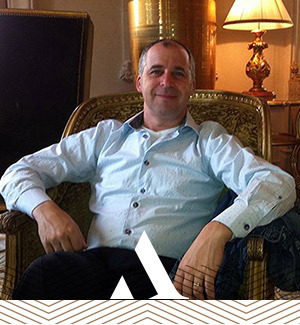 Jonathan’s experience in this area is particularly important and relevant to companies in an e-commerce world, now facing hundreds of top level domains, all with an instantaneous online international reach. Jonathan belonged to many intellectual property organizations during his career. He has written and spoken about IP in Canada and around the world over the past 30 years, including on domain name issues. Among his many speaking engagements, Jonathan has spoken on domain name and trademark matters at INTA, FICPI, APAA, a United Nations Conference, the Committee on Foreign Relations in New York City as well as to the Canadian government, and, testified before a U.S. Congressional Committee. He is currently serving on the ICANN’S nominating committee. Mariette has no trouble keeping busy outside the office and enjoys spending time with her husband, their 6 children and now 6 grandchildren. She enjoys giving her daughters a break and spending some quality one-on-one time with each of her grandchildren. If the weather is nice, Mariette likes to escape to their trailer by the lake on weekends and holidays. Her dog Toby is never far behind and enjoys the drive and being outside with the family. 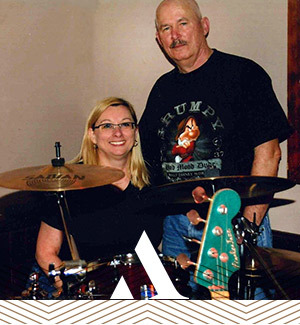 Mariette is a proud supporter of her husband’s band, Hands of Time, and loves going to watch his gigs. Mariette has over 30 years experience working in a variety of financial departments in both small and large companies. Mariette’s experience stems from her position as the Director of Operations for a marketing firm where she was responsible for the day to day operations of the company along with the finances, payroll and human resources. Mariette also has experience as a controller for a high tech firm, Manager of Time Administration with Canadian Blood Services and Accountant for a Landmine Clearing Group. At Aventum IP Law LLP, Mariette is responsible for the financial operations of the firm which includes accounts receivable, accounts payable, and all day to day financial operations. She is very much involved with the health and safety of the firm by volunteering to be the Fire Warden and First Aid Attendant as well as assisting the social committee with internal events. Whether it is planting in the spring, piling firewood in the summer, harvesting in the fall or delivering wood in the winter — it’s easy to say Judy keeps herself busy outside the office. When she is not working on the farm, Judy takes every opportunity to explore the outdoors with her family, and now that everyone owns their own snowmobile and four-wheeler, there are not many places they can’t all go. 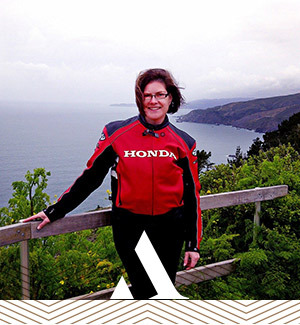 Judy has over 35 years combined experience working in the intellectual property field. She first started working in the IP department of a large Ottawa law firm, which allowed her to obtain a solid foundation of the necessary skills and hands-on experience. Judy utilized the skills she obtained throughout her career and secured a position with Nortel Networks Limited, where she was later promoted to a management position in the intellectual property department. At Aventum IP Law LLP, Judy works closely with the firm’s partners, professional and administrative staff to guide and implement business processes and procedures. She is often called upon to assist the firm’s partners in various special projects and provides unlimited support to those in other departments within the firm. Judy schedules regular meetings with both the patent and trademark teams to ensure consistency of practice amongst the teams. Judy is responsible for the day-to-day operations of the firm including training and orientation for all new employees. She is responsible for the supervision and mentoring of all administrative employees and is also actively involved in all aspects of the hiring process.